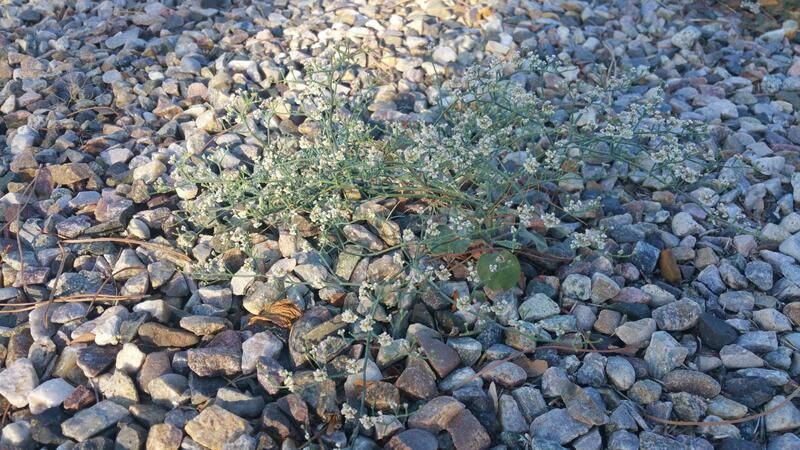 Over the years, I have paid attention to the "weeds" which volunteer in the landscape. Instead of pulling them with prejudice, I have begun to permit some of them to occupy their claimed space and I keep them un-molested (but give them no other special care). 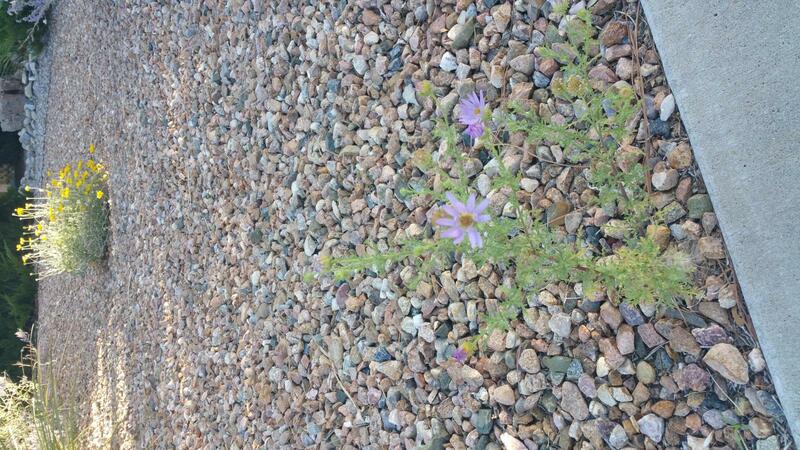 Left alone, some of these "weeds" have interesting habits and beautiful displays of color. Here is Baileya multiradiata. 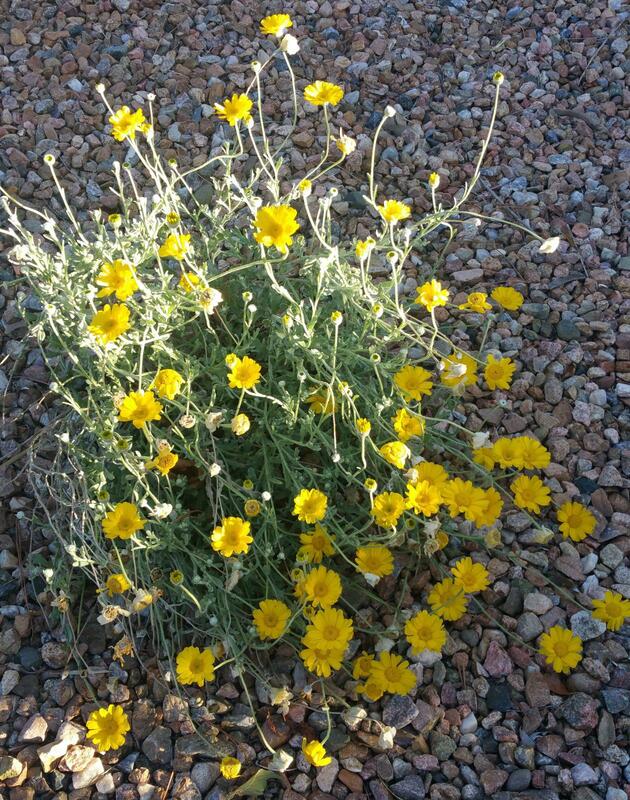 Commonly named Desert Marigold. This dusky jewel is Machaeranthera tanacetifolia. 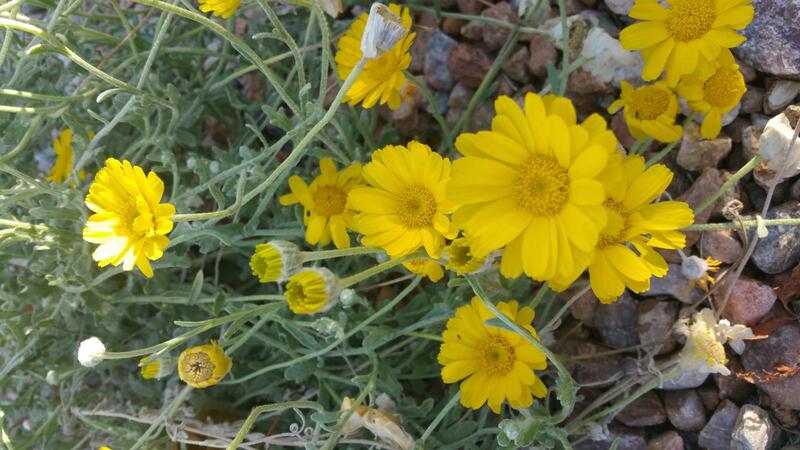 Commonly named Tahoka Daisy. I just found it interesting and have fostered a few for kicks. 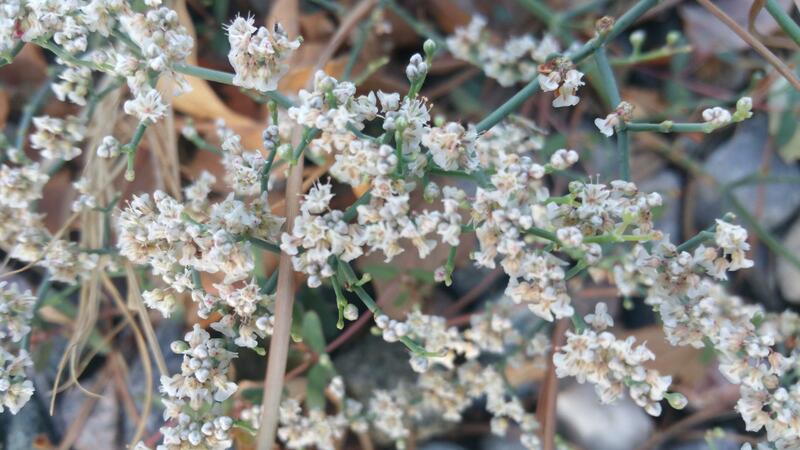 Possibly Gypsophila paniculata for the one with no identification?